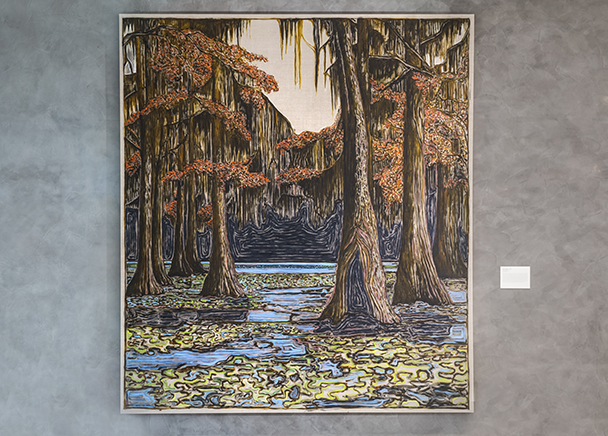 Trammell Crow Company (TCC) and High Street Residential have officially unveiled a museum-quality art collection permanently installed at Park District, the 2-tower, mixed-use development positioned in the heart of Downtown Dallas. At the intersection of the Arts District, Uptown and Klyde Warren Park, Park District boasts more than 900,000 square feet of premier Class A office space, restaurants and luxury residences. The towers are connected via a central plaza, designed by The Office of James Burnett, the landscape architecture firm who designed the award-winning Klyde Warren Park. The Park District art collection was curated in collaboration with Houston art advisory firm, Kinzelman Art Consulting and includes four works of art by significant national and international artists including Danish-Icelandic conceptual artist Olafur Eliasson, British multidisciplinary artist Billy Childish and American painter and printmaker Jennifer Bartlett. 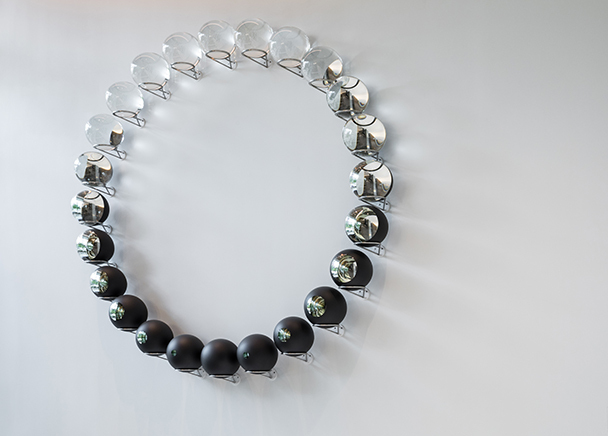 Internationally known for his immersive art installations, Eliasson’s wall-based sculpture The Breathing Moon is fabricated of 24 crystal spheres that encourages viewer interaction and investigation. 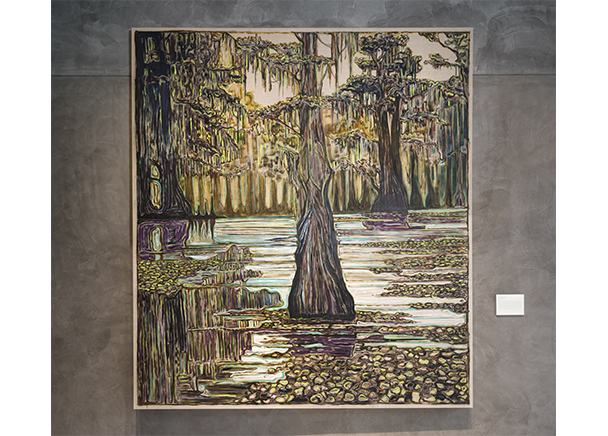 His largest paintings to date, Billy Childish created Cypress Trees and Cypress Swamp specifically for Park District. Both paintings skillfully illustrate Childish’s signature fluid and gestural painting technique. 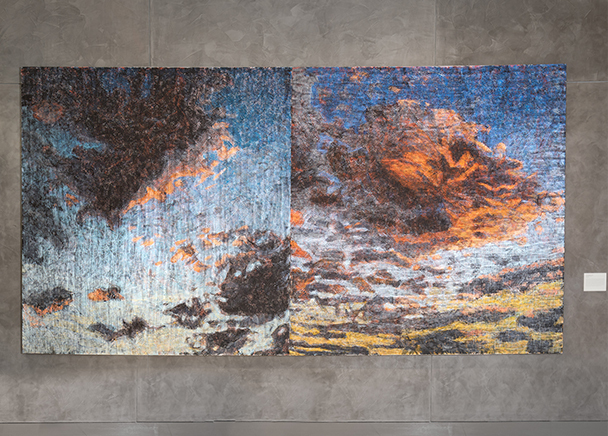 New York based artist Jennifer Bartlett’s Amagansett Diptych combines abstraction and representation in her epic and seemingly endless sky painting. A fifth commissioned artwork was created by Dallas-based duo Brad Oldham and Christy Coltrin. 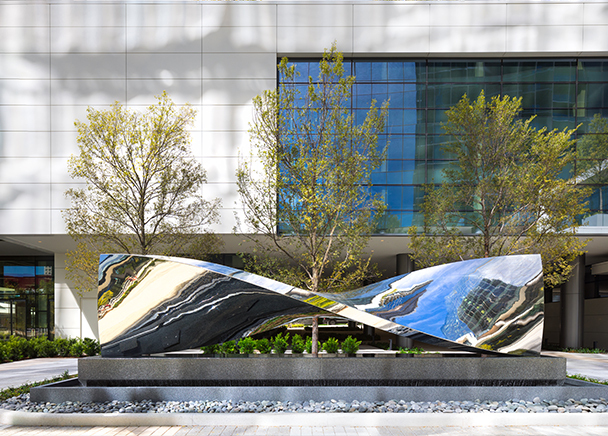 Twist, a mirror-polished stainless steel and Bavarian granite sculpture offers an intriguing point of interest within the center of the plaza. Click on individual images above to enlarge. From left to right: Olafur Eliasson's The Breathing Moon, Billy Childish's Cypress Trees and Cypress Swamp, Jennifer Bartlett's Amagansett Diptych, as well as Brad Oldham and Christy Coltrin's Twist.